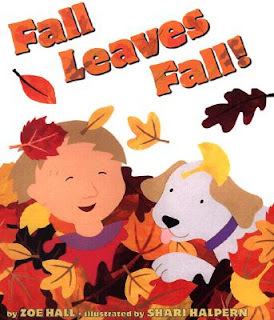 Summary: Fall Leaves Fall focuses on autumn leaves and all the things two imaginative children do with them. 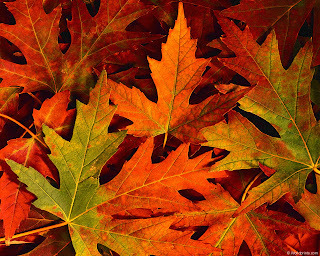 Leaves are for watching, catching, stomping, kicking, and collecting, and big piles of freshly raked leaves are perfect for jumping into. Use leaves and drawing materials to create fall-themed collages just like in the book! Provide children with a variety of leaves, glue, markers or crayons, and paper. Ask the children to dictate descriptions about their finished pictures and invite them to share their finished work during group time. 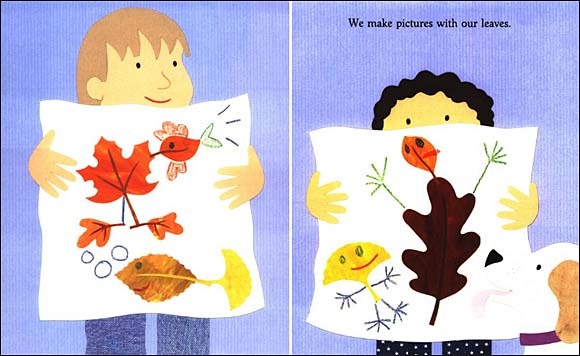 Encourage the children to compare the different ways they used the leaves and art materials.